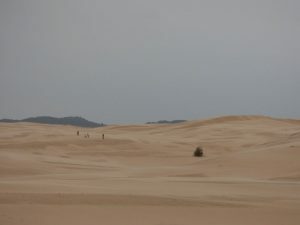 The desert-looking side – those little dots are people walking across it! Last weekend I had the special joy of heading back up to Grace Adventures Camp in Michigan. This is my third time there, and their team is just a joy to work with! To make it even more interesting, I brought Chris Hogan up from Charlotte to help me that weekend. Chris started working as my new ministry assistant earlier in the summer, and we’ve had lots of phone calls and emails, but this was actually the first time I met her in person! So it was super fun to get to know her better. I spoke on the life of Peter and on getting “Out of the Boat” with our faith. One thing I’ve always loved about being at this particular camp is the atmosphere the camp staff create. They are a wonderful combination of servant leadership, genuine faith, and fun! Cherri Bornman was leading worship with her group, and I worked with them last time. They are wonderful and also super humble and fun and approachable, so I was thrilled to be on the weekend with them again! And, as always, we had wonderful talks with so many women during meals and breaks during the weekend! 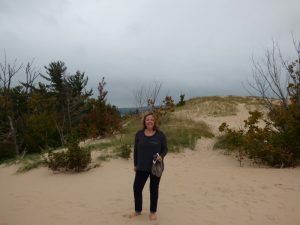 Chris and I also headed up to see the dunes, and they were just spectacular. I had seen them from below and I got that they are amazing and huge (think multiple stories high kind of dunes) but I guess I’ve never climbed to the top of them. We did this time and it was like entering another world! To the one side was Lake Michigan, and to the other it was so vast it really looked like the Sahara. You can’t really get a picture that does it justice! People are driving huge dune buggies all over it. It’s just a one-of-a-kind experience. So happy to be back, and so happy to have the time with Chris! Homemade birthday cake just for him – he picked chocolate! 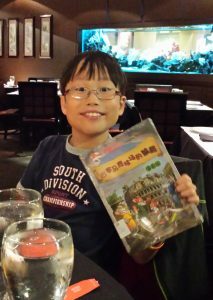 Geronimo Stilton in Chinese – one of his favorites! Some days are meant to be happy, and this one was! But it was also a reminder of a lot of loss. So goes the weird mix of happy and sad that have become such a regular part of our lives with adoption. Oh, baby boy. He would hate to know I felt such sorrow for that because he doesn’t want us to think he needs or wants pity. He is strong. He is fine. He has learned to be accepting of how things are because that is the best way to survive, and no presents on your birthday is just the way it is. Or just the way it was. 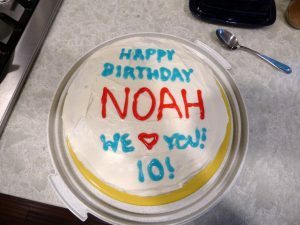 After that conversation about presents, Noah started getting really tense about his birthday. We are big into traditions in our family, so I had told him that on your birthday, you get to pick what’s for dinner. Everyone will make you a card, and you will get gifts. He wanted to know if he would have a party, and I said, yes, you can have a friend party on the weekend before or after, but we will do “family birthday dinner” on your actual birthday. Having your party on a different day was not weird, and it would still be fun – this was a big point for him. Would other people think it was okay if it wasn’t on the EXACT DAY?! As it went on, I realized that this was coming from both fear and hope. He had never had a birthday celebrated, and suddenly we were offering him the dream – a party, presents, people celebrating you, and he just couldn’t believe it, but he wanted it so badly! He was really keyed up over the whole thing. 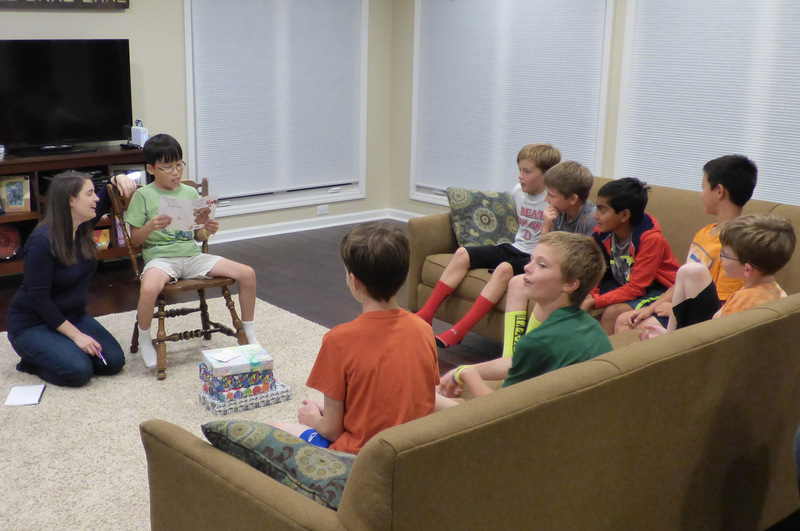 We had his friend party the weekend before with six boys from his class, and he had so much riding on it emotionally that I was getting nervous! It wasn’t even that it had to be that great, it just had to happen the way we said it would and not be a disaster. As I’ve noticed before, he has obviously had promises broken to him in the past, and he doesn’t always believe what we say will actually happen. Every time something happens the way we say it will, I watch him trust us more. The party was no exception, and the day after the party was so interesting to me – he was so much calmer and several times that day he just spontaneously hugged me which is not all that common. I could tell that we had not let him down, and suddenly he was much more hopeful that the family night would also be good, and would be what we said it would be. We decided to give Noah 9 presents for the years he wasn’t with us. We wanted to acknowledge that time and that loss in a positive way. But here’s the tough part. We try so hard to teach our kids that it’s not about the presents and the “stuff.” Many kids coming home in the US are told that we are all rich and your family is good for buying you things. I didn’t want his birthday to send that message! But I also want him to know that he is a valued and equal member of our family, and that we love him, and show him with thoughtful gifts. We want him to know that it’s fun to have a birthday! So for those nine presents I got things that I knew he would recognize as being thoughtful and for him in particular, but they weren’t expensive at all. He loves things that hang off his backpack and he loves Minecraft and Star Wars and Lego, so I got him a couple of Lego Minecraft and Star Wars figure keychains for his backpack. We got him a few Tom and Jerry books in Chinese because he thinks those are hilarious. We got him good winter gloves so he could make his first snowman (he’s so excited about that!). 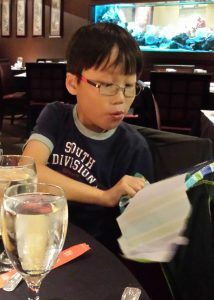 And for his “big” present for his 10th birthday, we got a family game to play together because he absolutely loves playing board games as a family. It’s a big thing to send the message that you love someone, that they are valuable, and that you are trustworthy all in one day. I don’t think of myself as being particularly good at being thoughtful, but I realize with Noah it’s very important – he needs to know that we took time for him, and thought and effort. We need to make up for some lost time and the holes he has in his heart. I thank God for helping us do it, and I thank God for Noah. 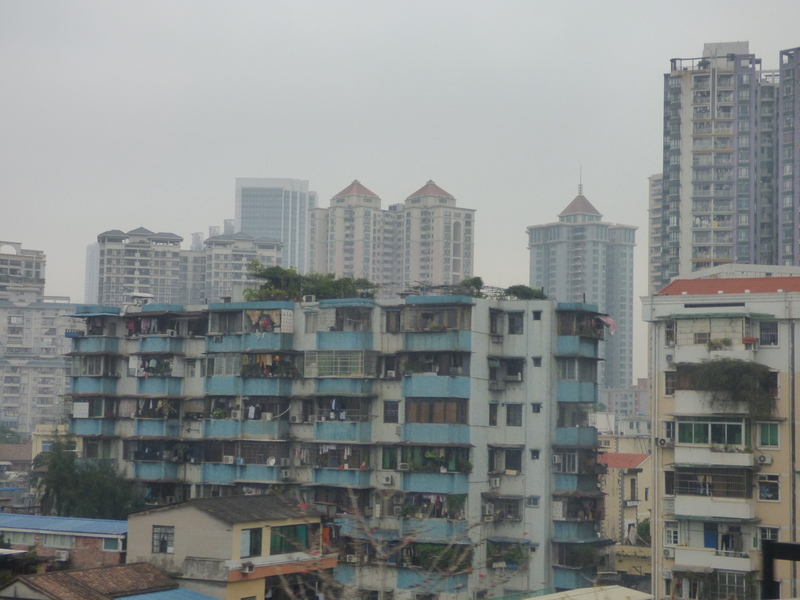 The sky we were all used to in China. 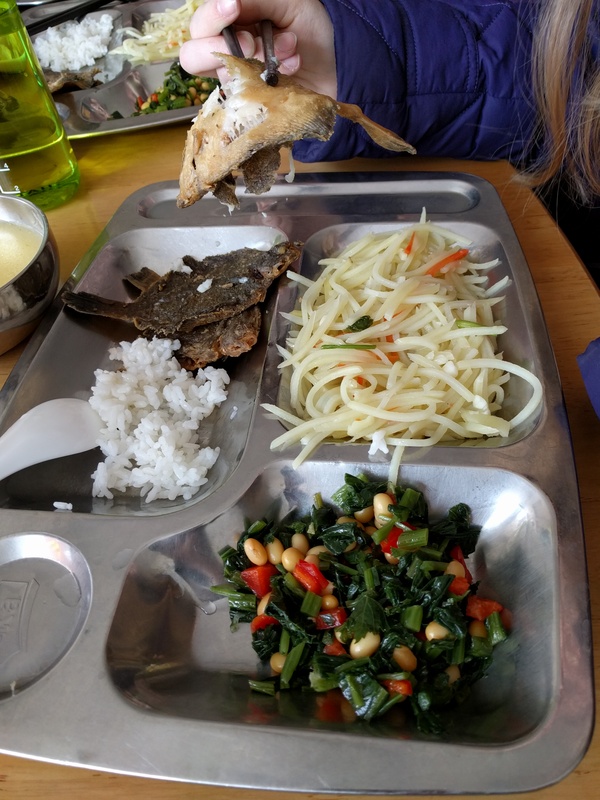 Our lunch at the orphanage – whole fish, rice, congee, shredded spicy potato, greens, and steamed buns. Getting more comfortable all the time at home. It’s a very interesting and thought-provoking thing to suddenly be raising a child who is from another culture. 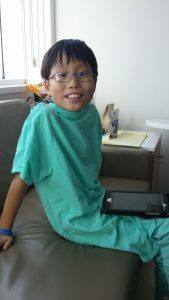 Until just a few months ago, Noah had never been outside of China, and with the exception of traveling to Beijing for his surgery as a toddler, outside of his home town. He’d never seen a Caucasian person in person except the adoption workers. He’d never eaten any food except Chinese food. He’d never heard any language but Chinese. 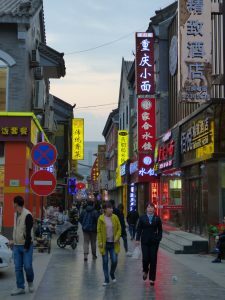 Even when we traveled to other parts of China and he heard new dialects or accents for the first time, it was startling for him. So you can imagine how vast the change is for him here. Here, he comments constantly on the sky (we can see clouds and the sun because it’s clean). He comments on the suburban houses (he’d only ever lived in a high-rise apartment building, and everyone he knew lived in one too). He thought our backyard was a park (he never knew people could own an outdoor space). He comments on the food (he wishes, wishes, WISHES I could make homemade dumplings!). Some of his observations are good and some are bad. There are things he loves about the U.S., and things that he misses about China. This could be the most amazing place in the world, but for a child who spent their first nine years somewhere else, it’s going to take a long time for this to really feel like home. When Noah was first home, I told him we were going to send him to Chinese class. Having two languages is such an amazing blessing, and adopted kids lose their first language at an alarming rate. We don’t want that to happen to him, so I had been talking to him about it and getting him used to the idea. I’d brought it up several times, but this day I told him he would definitely start the next week. “But why?” he asked me. “Why do I need Chinese school? I am good at Chinese!” I explained, “But here, Dad and I don’t speak Chinese. Your brother and sisters don’t speak Chinese. 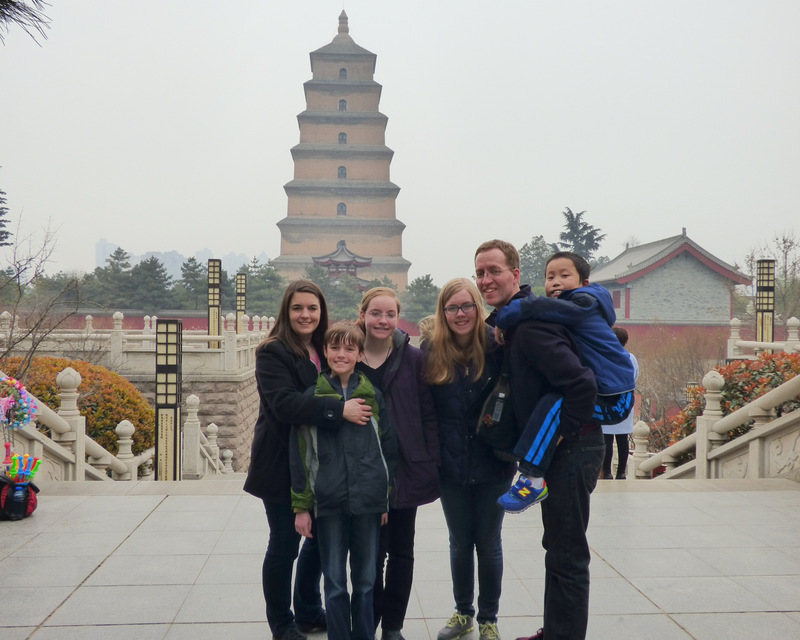 Many kids who are adopted forget their Chinese, and we don’t want you to. We want you to keep it. 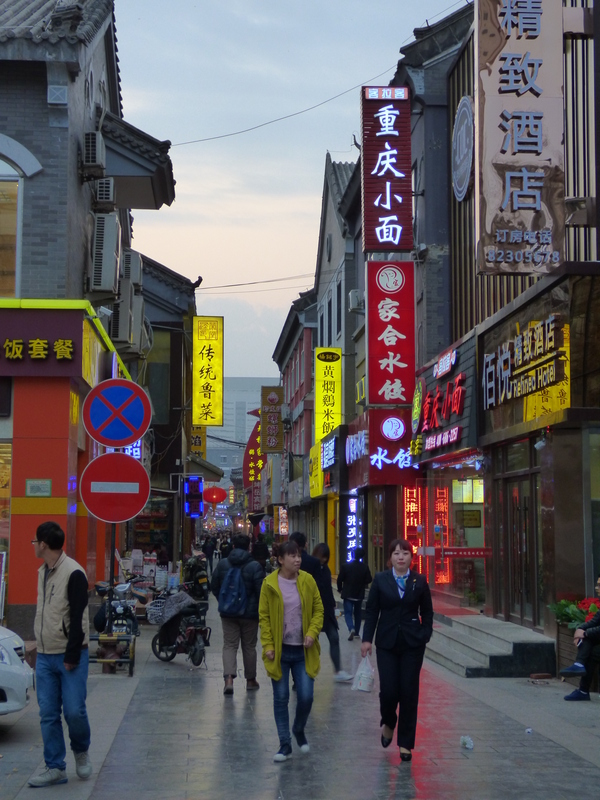 So you will go to Chinese school.” This was the fourth or fifth time I’d explained this. And yet, we forget our fundamental identity all the time. As Christians, we are Christ-followers and citizens of Heaven. The Bible tells us that we are transplants here, just as Noah has been transplanted to the U.S. This is not our home. We are foreigners in a foreign place. Even if we’ve lived somewhere our entire lives, it isn’t home. Home is with God. Our home is where He is. And the longings we have, that sense that something just isn’t right is our reminder that this isn’t it. We are looking forward to something much better, something greater, something that is coming, and that is our hope! So often we get so comfortable in our culture that we can forget our fundamental identity. We get distracted or lulled into complacency. We can forget our first language, the language of God’s love and purpose for our lives. As Noah’s mom, I pray that he will become more and more integrated into American culture, and that he will get comfortable and feel at home here. But I also pray that he will come to know the Lord and in that find his true identity, an identity that doesn’t depend on culture or status or location. An identity as a citizen of Heaven, a permanent and unshakable hope and belonging. One of my favorites – Donna right after shaving her head for yet another go-round with cancer and trying on a new wig. Not the best pic of me! 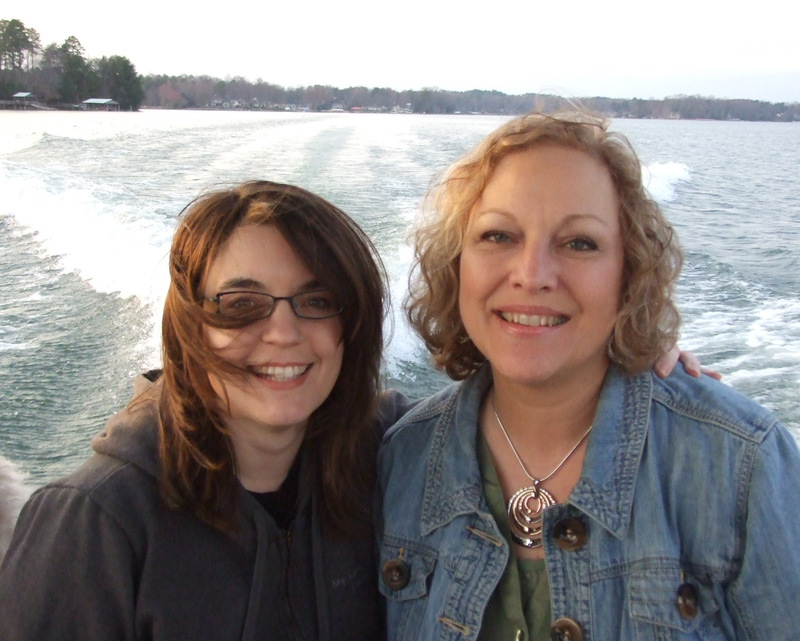 But such a fun memory – down in NC for a couple events and getting to visit her wonderful friend Susan and get out on the boat! 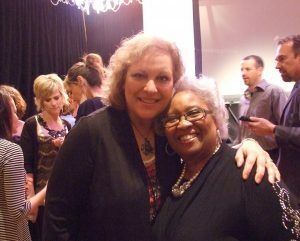 Donna getting to meet one of her long-time favorites from Women of Faith, Thelma Wells, at a conference we were at together. “Jennifer, this sounds wonderful, and I really think I could do a good job and would enjoy it. I would love to be back in ministry and I’m very excited! But I think you should know something about me before you hire me. I could die at any time.” It was such a shocking thing to say that it was almost funny, but then I realized she was perfectly serious. She’d had cancer for years. It was currently stable, but she didn’t want me to hire her without understanding the risks. Donna’s first cancer was as a very young woman with a brand-new baby, her third, Hannah. It was a kind that was easily treatable, and while frightening, seemed to be over. Unfortunately, they now suspect that the treatment used at that time for that cancer caused others. When Hannah was in kindergarten, they discovered a very bad form of breast cancer, and it was Stage 4. Donna was given a few months to live. She asked the Lord if he would save her. Specifically she asked to see Hannah graduate from high school – she wanted to raise her children. The doctors offered her an experimental treatment, and because she was dying anyway, she tried it. It worked. It didn’t get the cancer out of her body completely, but it stopped it from growing. When I met her, she’d been living that way years longer than anyone had data for. But they had told her that one day her body would become resistant, and they would have to try something else. Donna started working with me about five and a half years ago, and what a blessing she was! She became such a good friend as well as a co-worker, and she had a beautiful ministry of her own at all my events. Every time she was with me, I would find her after the concert or retreat talk praying with women who had cancer, or someone who was going through a hard time. She could light up a room, and she made friends everywhere we went. 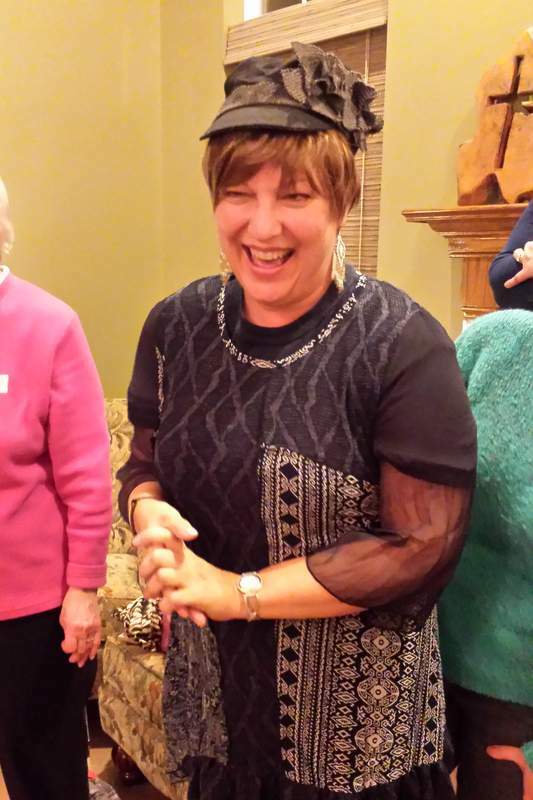 She just exuded God’s love, and people around her felt it! She had a very different perspective, living with cancer the way she did. She said often when we would talk about her future and health, “Today, I’m healthy. Until the doctor tells me otherwise, I am healthy.” She could have lived in fear and doubt and worry and let them rob her of the miraculous extra 12 years the Lord gave her, but she didn’t. She lived every day of her life, and last year she got to see her Hannah graduate from high school and know that the Lord had said yes to that particular prayer. The Lord is reliable. Donna had “the peace that passes understanding” (Phil 4:6). He met her every need, and His faithfulness to her was a truth she shared with everyone. He has promised us heaven, and He is reliable – she didn’t want to leave her family or suffer, but she was never worried about her future or whether God would supply what she needed. She knew He would. Every day is a gift. As I said before, Donna didn’t waste her life. I have known people to get bad news about their health, and that is the end of it for them – they stop living and instead wait to die. That was never Donna. She lived every day, and she chose purposefully to see the good and find the fun in everything. Love people intentionally. Donna had the best friend group I’d ever seen. I was (and still am!) a little jealous – her “posse” is an amazing group. At first I thought she was just blessed, but then I realized she had such a determination to love people intentionally. She didn’t hold onto her pride, she was always willing to be the first to reach out, she was thoughtful, and she was a great friend. I am often scared to reach out, but she taught me to be more fearless. She invested deeply in her friends, and also really listened and empathized with people she met. She made everyone feel special. Laugh often, and look for the good. Donna didn’t walk through life as a virtuous, suffering saint. She laughed hard and often. She looked for the good in all circumstances and in all people. She made fun of herself. She acted goofy. She said she had a choice in how she confronted hard things in life, and she chose laughter and joy. Donna leaves a hole in my heart. Her family has become so dear to me because she never stopped talking about them! And I will continue to pray for Larry, Josh, Jon, and Hannah – I know how it feels to be missing someone so crucial. But I also know without a doubt that we will see Donna again. And if we had this much fun together on earth, it’s going to be simply amazing in heaven! I’m so glad she’s there and healed and whole, and Donna, we will see you soon. Picture from July 15th with the Husky on his head – first real smile in a while! 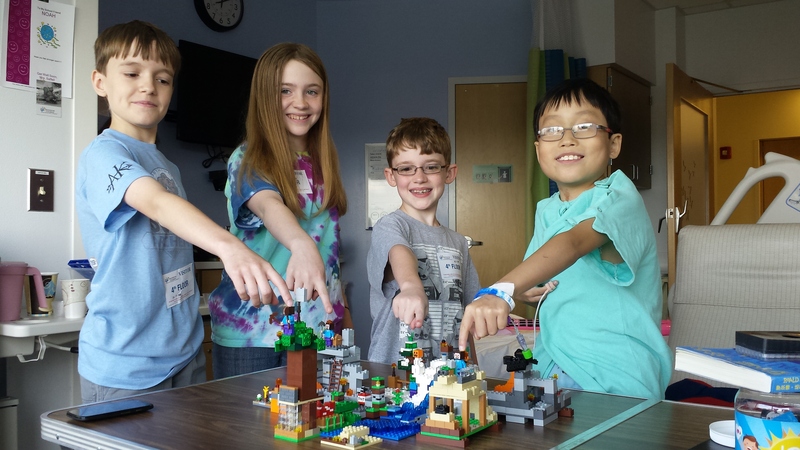 Picture from July 18th – Hannah and Micah and friends with Toby and Noah and came to build with them. They visited every couple of days – so kind! Picture from July 27 as we were all just killing time and hoping the effusion would stop so he could get his last chest tube out! Pic from July 28th – we are sick of the hospital, but so appreciated the support! Picture from Aug 1st – the first time Noah was free of lines since he got to the hospital on July 7th!! 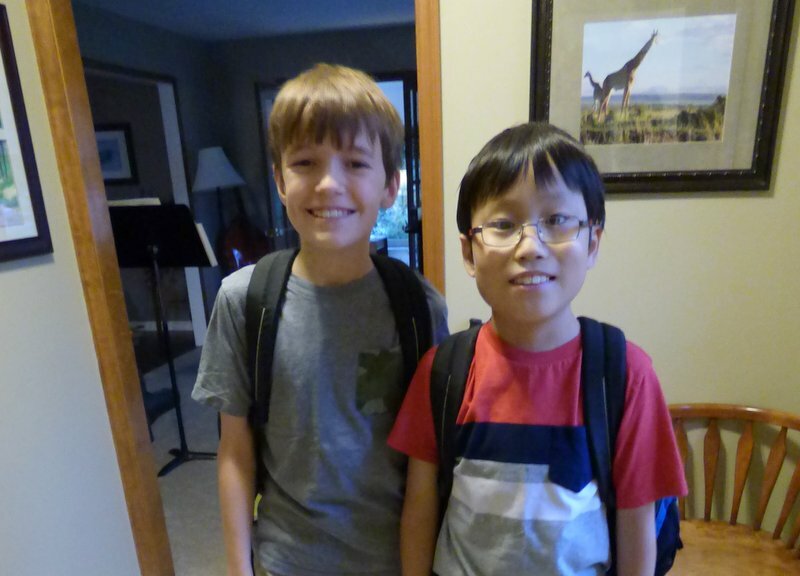 Toby and Noah heading out for the first day of school – Noah made it! 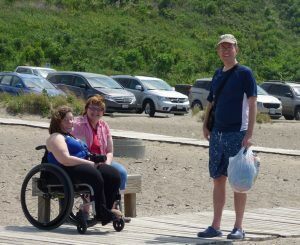 Hi, all, I confess it was very hard to keep up with my blog while we were living in the hospital. I updated my Facebook the whole time, but I’ve heard from some people who are checking here, and thought I’d just put all those Facebook posts in one place – don’t know why I didn’t think of that before. So my Facebook posts are here and I added extra and new notes in italics. It’s super long, but then, so was the hospital stay!! 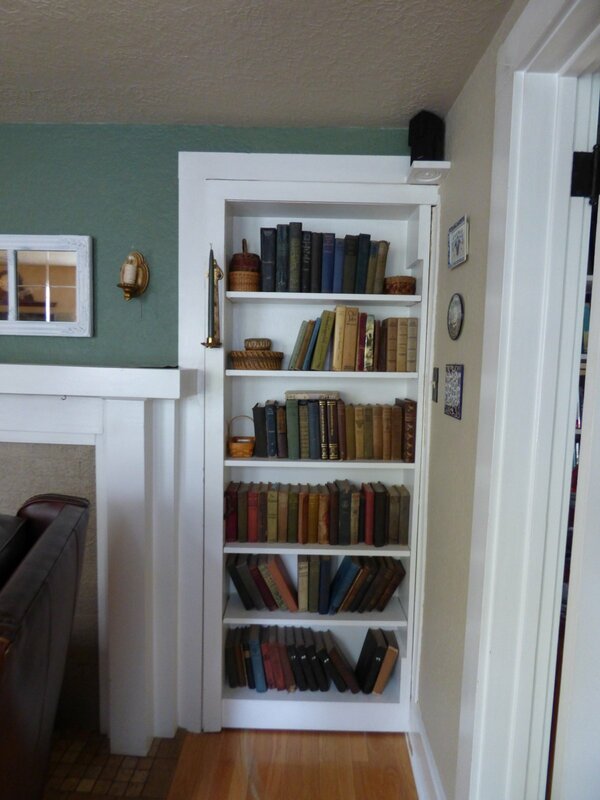 If you’re brave enough to read a book, dive in! Noah’s been in surgery since a bit before 8. It takes a long time to get all the lines in, so the main surgery started around 9:30. The first lyric we heard when we turned the car on this morning to go to the hospital was “You can mend a heart that’s frail and torn.” Isn’t God good?! I was so terrified. It is so hard to take your kid who looks pretty good and subject them to that, even though you know intellectually it’s for their good. He was so brave. Can you imagine how sweet it was to turn on the radio at 5:30 in the morning knowing what you were facing and hear that lyric?! 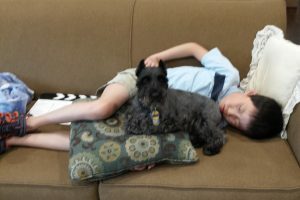 Noah hated the meds they’d given him to relax him for the past surgeries, so he actually went in awake. I was able to come with him into the OR, but I had to leave him awake. 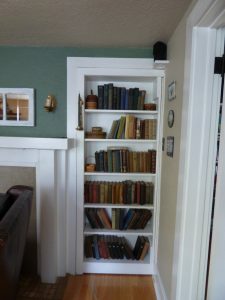 It’s a very intimidating room – I can’t believe he did that, but he did, and he even told me he was fine and would see me later. “You have the hard part,” he said, “I get to sleep through it.” Wow. The ICU was impressive and sunny and much happier than I was expecting. Noah looked very scary. He had no color and so many tubes and lines – O2 monitors on his finger and head, oxygen in his nose, three chest tubes, 2 sets of lines through his chest to his heart in case they needed to shock him, 5 “stickers” and a box for the heart monitor, about a 12″ incision, arterial lines in his neck and wrist, IVs in both arms, catheter… more that I’m not remembering. But his monitor was reading 98 percent O2 sats when we came in and I never thought I’d see that number – his average before surgery was about 75. We have a dedicated nurse just for us, and have multiple dedicated doctors on this unit, and we feel as safe as we can feel. He was not awake at first, and then when he was I wished he wasn’t – he was in a lot of pain and wanted a drink so badly that he couldn’t have. Just so hard to see your kid like that, it makes me teary. One interesting thing – he woke up in English. We had an interpreter standing by in case he needed that with all the drugs in his system, but he woke up asking for water in English. Just amazing. Unbelievable (except for all the prayer!) but we have been released from the ICU! We’ve been in the step down unit for about an hour. He’s doing well medically, although struggling with pain and nausea quite a bit. Please pray that he can eat so they can see that his system is working and we might be able to get a couple of these chest tubes out – they are very uncomfortable. We’re going to try walking a few steps later tonight. Again, we just continue to thank you all for praying – it has totally touched our hearts! 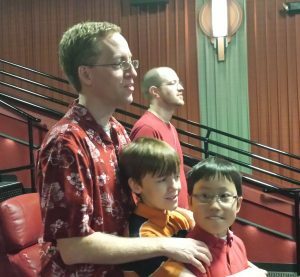 Noah’s biggest problem at the beginning was balancing pain and sickness. The meds they gave him for pain made him ill and he was throwing up frequently which is obviously extremely painful and started the cycle again. They worked hard to find a balance for us, and once we could get him off the heaviest narcotics, things started looking up. But the first 3 days were extremely tough, and the first 5 were much harder than anything I’d done or expected to have to do with my kids. 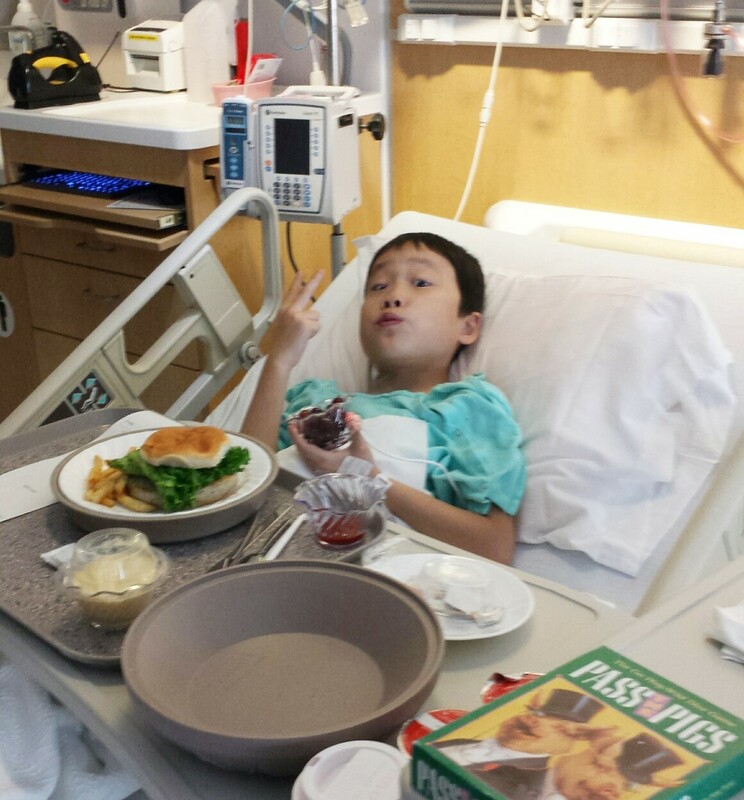 Update for the day: Noah had a pretty good day and is definitely less sick – thank you for praying! He was even able to eat a few bites of real food for dinner which is a huge improvement. He’s still having a good bit of pain, and there are some concerns now about his lungs because breathing deeply is painful (moves his sternum) and there were some air pockets so they don’t want to pull his chest tubes as that could cause his lungs to collapse. Please pray with us for his breathing and comfort, but he’s a lot more like himself today and even watched a movie and talked to me during lunch, so it’s good to see our little guy coming back to himself some! Again, thank you so much for praying with us! One thing that was really concerning Nathan and I was that after the surgery, Noah seemed to be in shock. Even after the anesthesia wore off and the heaviest drugs were out of his system, he would just stare at us and not respond when we talked to him, or if we asked him a question three or more times, we might get a one word answer. This is from a boy who never stops talking. I was getting quite worried – you think about oxygen deprivation from the bypass machine and things like that. But a few other adoptive heart moms (I’m connected on a Facebook page with them) told me this was pretty normal, especially since our kids have had trauma in the past, and this day, he started talking to us a little more and I was just relieved to see a bit of his personality re-emerge. It took about 5-6 days for me to feel like we really had our Noah back. This is a kiddo who’s starting to get his mojo back. 🙂 Down to one chest tube, got another one of his IVs out today, got a decent night’s sleep, and everything’s looking just a little bit brighter. This was the first picture I felt I could post of Noah without disrespecting what he might want out there publicly. He had gotten most of his lines out – we were down to two IVs, one chest tube, heart telemetry, and an O2 on his finger, and he was feeling like he might survive. 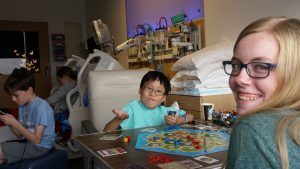 We were still worried about his lungs – hard to explain all the technical stuff, but they were worried about pneumonia and his lungs collapsing, and Noah had to do breathing treatments that really hurt him – it was tough, tough, tough. Some good news and some bad news today. Good news is that Noah’s lungs look great now, so that is a blessing. Bad news is that his lymph system is freaking out a bit. So, this is not scary yet, but it is annoying because it means the chest tube is staying for quite some time, Noah’s on a special diet now, and we’re definitely in the hospital longer. The doctors tell us it’s unpredictable, but it could last a long time or turn off “like a switch” so I’m asking for prayer for that! We do not want to be here for weeks! Thanks! So, apparently the procedure Noah had is done right on top of the main branch of the lymph system and this complication is pretty common after this procedure, but it doesn’t make it any easier to deal with it. He had what is called a chylothorax or chylous pleural effusion. It just means that his lymph system was leaking fat and fluid into his chest cavity. Again, this can collapse the lungs, so we needed his last chest tube to stay in until it stopped. They put him on an almost fat-free diet, the idea being that if the lymph system has less fat to process, it will be less stressed and heal faster, etc. So now, my kid who really misses Chinese food and doesn’t particularly like American food is on fat-free, diet, American, hospital food. You can imagine how that went over. We were told this would extend our stay, but sometimes it’s for a week or two and sometimes it can literally be months. That not knowing is hard to live with, especially with a kid who wants to know the plan. He just got a home, and he really wanted to go back to it. I was pretty optimistic at this point because his chest tube output numbers were falling. That stalled later, but on this day, one week out, Noah was starting to feel decent and wanted to play games and watch movies and we all just thought we’d be there another 5-7 days and it would be good. Well, it’s day 11, and sadly, we are officially stalled over here. Noah has not had much progress with his lymph system, although it’s not getting worse either. We’ve also had a few concerning/confusing fevers and arrythmias, so it looks like we will be in the hospital for a while. He’s still doing well, and the doctors are not concerned, but he’s definitely getting a little sad about still being here and he’s bored. If you’d like to send Noah a card, you can do that through the hospital website and they will print and deliver it to him -http://www.nationwidechildrens.org/netapps/greetingcard… His unit is H4A. And please keep praying with us! Noah kept having a low fever, just over 100, every 15 hours or so. Sometimes after trauma, kid’s bodies react strangely, and we thought that was all it was (and still do) but they are very on top of fevers because of the risk of infection. These were just low enough to not count apparently, and we learned to be thankful because the one time it got high enough we had people all over us, a very traumatic blood draw, and massive testing which all turned out fine but we didn’t want to do that again! Just heard that upon review, Noah’s hospital is giving us an unlimited length-of-stay parking pass – this cannot be a good sign. Sigh. On the upside, though, friends and time in the hospital means you can make amazing Lego creations! At this point, we are just waiting for the stupid chylous effusion to resolve. There’s really not much to report. 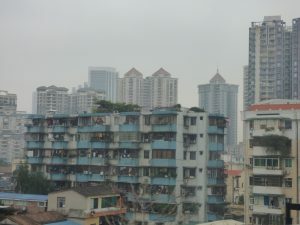 We are living here, the other kids visit everyday, we’ve played a million games, done puzzles and built lots of Legos. Just hanging around waiting for the chest tube to come out! Again, we come to you with some good and some bad news about Noah’s recovery and just appreciate you keeping him in your prayers! We’re on Day 15 after his open heart surgery. The good news is that his heart looks great, he’s feeling really good, off all pain meds, and just his chest tube is a little uncomfortable. The bad news is that he’s not progressing much toward getting this tube out, and we’ve heard some kids can be in here for a really long time with the complication Noah has with his lymph system. They have two potential things to try, one that is not so bad and will likely start tomorrow, and one that has a better chance of working but is really hard and potentially extremely difficult for him considering his history. Both treatments last a week or two and aren’t usually concurrent. If neither of those works, we may be looking at another surgery. Please pray for wisdom for the doctors, for Noah’s body to heal, and for patience as Noah really wants to go home now. Also, please pray for a little almost-three-year-old guy named Walker – we’ve gotten to know his family as we’ve been here, and he’s recovering from a heart transplant. They’ve been here 100 days today on this trip, and it sure puts things in perspective. Thanks! This was super tough. We didn’t know how much to share because we didn’t know what was going to happen. 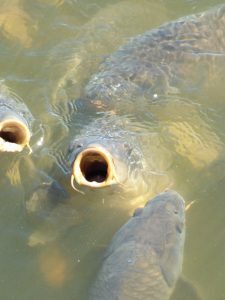 The standard treatment for a chylous effusion that is not clearing is to take away all food and drink and just feed intravenously for two weeks. Since your stomach is still empty, though, you will be hungry. This sounded terrible. We don’t know a lot of Noah’s history but one thing I do know – you don’t take food away from an orphan. So often food is a major point of trauma for these kids with their histories, and I didn’t want to risk it, not to mention that that sounds really terrible just to be hungry for two weeks! The other potential treatment involved a new medication that had to be given through a pic line which is a hard procedure and also has a greater chance of infection and really didn’t have a lot of info on whether it was helpful or not, so we might just waste two weeks in the hospital trying that. And if neither of those worked, the only other option was to wait it out no matter how long it took, or do another smaller heart surgery which would undo some of what we had just done (again, very complicated) and see if that would help. We told them taking away food was sort of a last resort for us. All the doctors came back that afternoon and said that given his history and age, they wanted to take a day to research all possible options one more time. We continued to pray. The next day they told us they wanted to give him the weekend to see if anything changed on its own, and they scheduled him for his pic line on Monday. Walker, by the way, was the sweetest little guy, and I got to know his mom pretty well. He was rejecting his new heart at this point and they had to kill his immune system to try to get it to reset. It was a scary and hard time for them, but I’m happy to say that it did work, and he was released from the hospital Aug. 17. He still has a long road ahead of him, but hopefully he’s through the hardest stuff on this go-round. Monday morning. 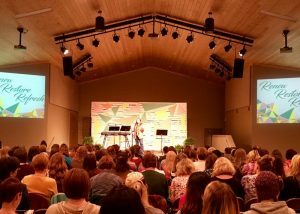 We were scheduled for our pic line today, but after being completely stalled for two weeks, an amazing thing happened over the weekend – his numbers started to drop. I was actually afraid to post this, so I didn’t – we were afraid to hope. I did find his doctor this morning, though, and asked if they were willing to push the pic line to the next day just to see if the trend continued. It did – slowly, but it did. So they agreed to give us a few more days to see if it was just resolving on its own. Please, Lord!! This is what happens when you’ve been in the hospital this long – the whole family moves in. 🙂 Rinnah’s playing Catan with Noah, Toby’s reading, and Rachel’s on the bed. Thank you so much for praying for us! I’ve been hesitant to post because things have been really hard to predict, but it finally seems to have turned in a good direction! We were set to get a pic line and start a new med this Monday, but over the weekend, he finally made some progress so they decided to put that on hold to see if it was a trend. So far, it looks like it is, and we are so happy to be in a better place! Still not sure how long it will take to resolve, but it is looking much more hopeful this week than it was, and we are thankful! By this time, each day Noah’s numbers fell a little. They told us it had to be under 50ml from the chest tube to remove it, but since it was taking so long, our surgeon said he would be more comfortable getting under 40. No one wanted to have to put it back (us first in line on that statement!!) and if there’s too much fluid, it will collapse the lung. So we were waiting, and each day they just pushed the pic line back one more day. Thanks to all the sweet people who have sent Noah cards – they have really brightened up our room! 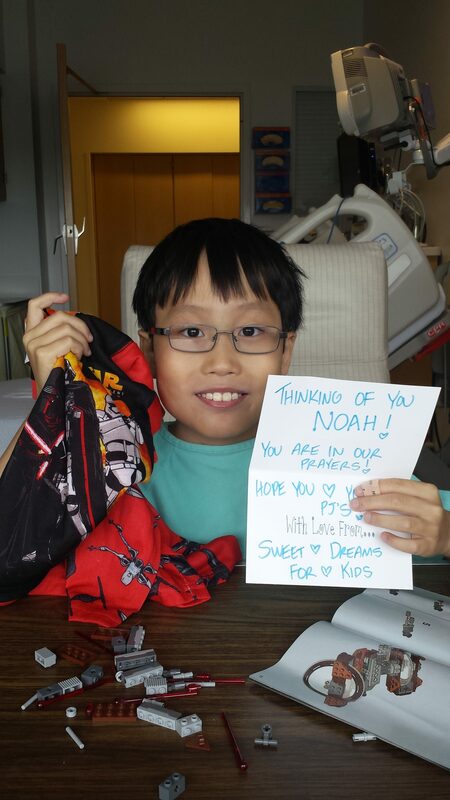 And Sweet Dreams for Kids sent Noah and his sibs PJs today – thank you! Our numbers are really good today and they even started talking through our exit plan, which is amazing. Noah had one pretty scary episode today with his breathing that may or may not set us back a bit (love for your continued prayers for his lungs/ air pockets, etc) so we are back on suction, but hoping that will resolve by morning. All things considered, we are way ahead of where we thought we’d be last week (this is so unpredictable, and sometimes goes on for months! ), and we are pretty hopeful that we may get home early next week – we will see what God does! This was a scary afternoon, and hard emotionally since they’d been talking about Noah going home in a few days just that morning. After lunch, Noah started crying and suddenly he was holding and hitting the left side of his chest and couldn’t breathe and I thought he was having a heart attack. We had a pretty peaceful stay overall, but you realize you’re on a heart floor at that moment – I yelled out the door (we were next to the nurses’ station) and had about 9 people in our room instantly with crash carts and the whole nine yards. It was very scary. When Noah started having pain and trouble breathing and then saw all the people running for him, I think he actually had a panic attack too, so it made it much worse. In the end, they decided it was actually pain from his scar and chest muscles that simulated a heart attack (the cardiologist on the floor said they see that with some frequency after surgery while everything is healing), and even after we got home we’ve seen that if he cries or laughs too hard, he will have a hard time breathing. It’s getting better over time, and they have tested everything and assure us it’s just the healing process. He knows it will get better now too, so he doesn’t panic in the same way which helps, but man, I don’t really want to do that ever again. After that, he had to have had a bunch of tests including x-rays and they found he had air pockets in his lungs again. Having the chest tube in so long was starting to cause it’s own problems by then, but taking it out wasn’t an option yet, so he was put back on suction and that means he was tied to the bed again. Sigh. He was discouraged but he’s really been such a trooper. So, by now, we were having a little issue with our doctors who were starting to disagree. There’s a whole hierarchy of who makes decisions, etc, and there’s our surgeon and the floor cardiologist and our cardiologist and the cardiology fellow and on and on. We felt strongly that we wanted to be conservative because the last thing I wanted was to pull that chest tube too soon and have to put it back (that process is exactly as bad as it sounds, yes. It’s a large tube that they insert directly INTO YOUR CHEST. Not fun.). We’d had doctors who were very much in tune with this, and our surgeon was all about being conservative, but we’d gotten one new doctor who unfortunately out-ranked all the others on the floor who clearly wanted to pull the tube and get us out of there. We were close, but all of Noah’s numbers were still borderline. 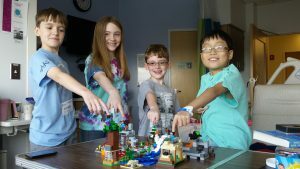 Our surgeon had the final say, but we usually only saw him for about 2 minutes at the end of the day after his surgeries, and the team was making their decisions at rounds that morning. I did not want them to decide to pull the tube that day before we saw our surgeon, and I really didn’t want it to be done over the weekend with none of our regular team there. I started praying about this. That’s hard to put into words, and maybe hard to picture, but it was just such a direct answer to prayer for us! We wanted Noah to come home, but more than that we wanted him safe, and we just weren’t comfortable yet. I was so happy I didn’t have to fight with the doc!! See that?! That’s a kid who is NOT ATTACHED TO ANYTHING!!! Yea! Chest tube out, telemetry off, O2 off, woot! And that’s not the best news – we had awesome numbers over the weekend, and if our x-rays today and tomorrow show that the air pockets have resolved with the chest tube out, they may, drum roll please, release us TOMORROW! Can hardly believe it! One week ago they were telling us to get ready for the long haul and we were hoping to make the opening of school with some really tough treatments. We didn’t have to do any of that! Now, just pray it doesn’t start again (that can happen) but whatever happens, God is good all the time, and we are thrilled that it looks like we are going HOME!! Well, our prayers were answered over the weekend, and Noah’s numbers continued to drop steadily to the point that we knew it was as safe as we were going to get to remove that chest tube. It was going to take a while to heal because it had been there so long, but he was so thrilled!! 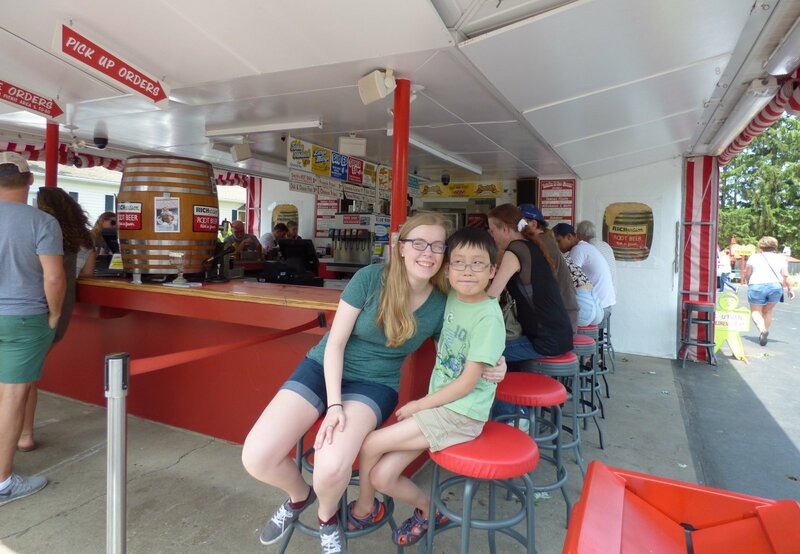 And because we live locally, they said they would probably send us home the next day and let us come back for x-rays since that was what they were worried about – they needed to see if fluid was accumulating around his lungs. We were more than happy to bring him back as much as they wanted if it got us home! It was a super long day, but in the end we were allowed to go home! Noah was so excited to see his bed, and we were just thrilled to all be in the same house again! Nathan and I took turns sleeping at the hospital, so it was just nice to see him again for more than a high five as we switched cars! 27 days later, we were home. 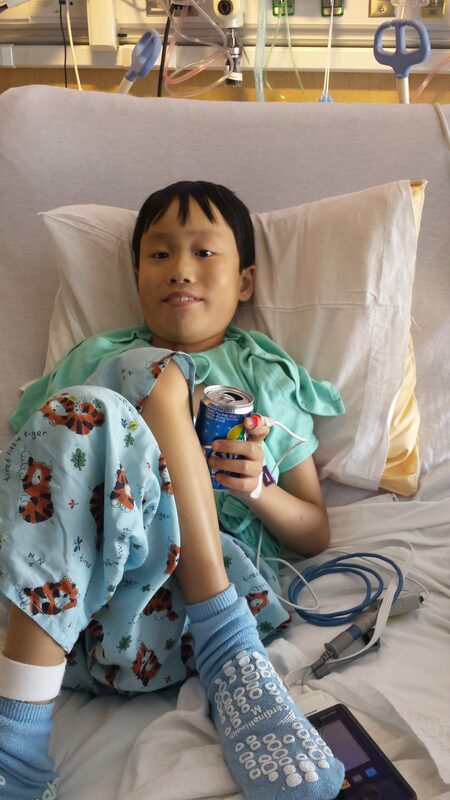 Awesome cardiology follow-up for Noah today! X-ray was totally clear, no evidence of pleural effusion, heart sounded good, and his scars are healing beautifully. What does this mean, you ask? It means: NO more special diet (which he hated), NO more x-rays for 3 months (unless we notice something), NO more restrictions on him physically, and, drum roll, yes, that boy is allowed to go swimming! So basically, we just treat him like a normal kid from now on unless something happens that tells us to change that. Yea! Noah went for x-rays every couple days, then twice a week, then more, and each time the amount of fluid in his chest was less. Finally on 8/22 they gave us the all-clear. He was able to start school as planned on August 17th, and now they tell us we don’t have to go back for three months. He was very weak after being in the hospital so long, but every day he’s stronger, and he’s starting to realize what a huge difference his heart surgery is going to make in his life. I asked him if he noticed the other day and he said, “I’m never blue now (he would turn blue with exertion before). If I run, I can run and keep running!” Praise God! 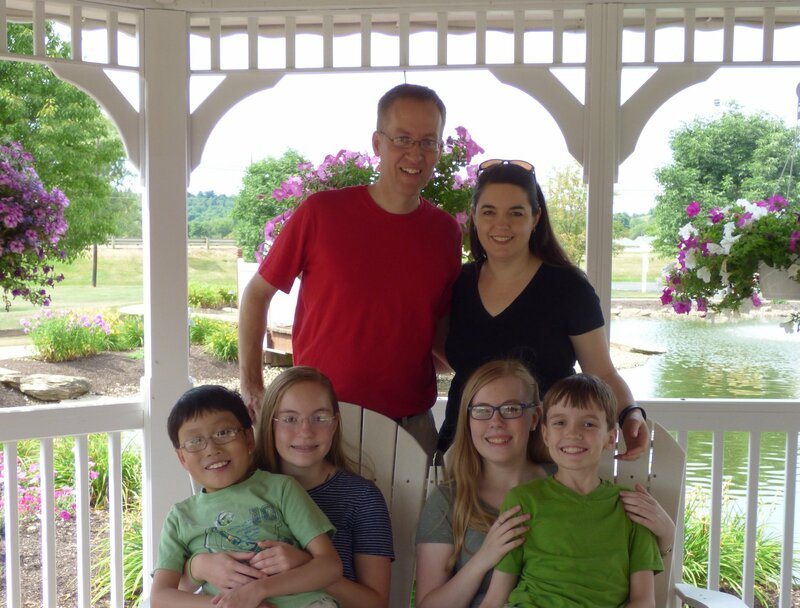 Our family on Fourth of July weekend taking a short trip to Amish country before Noah’s surgery. 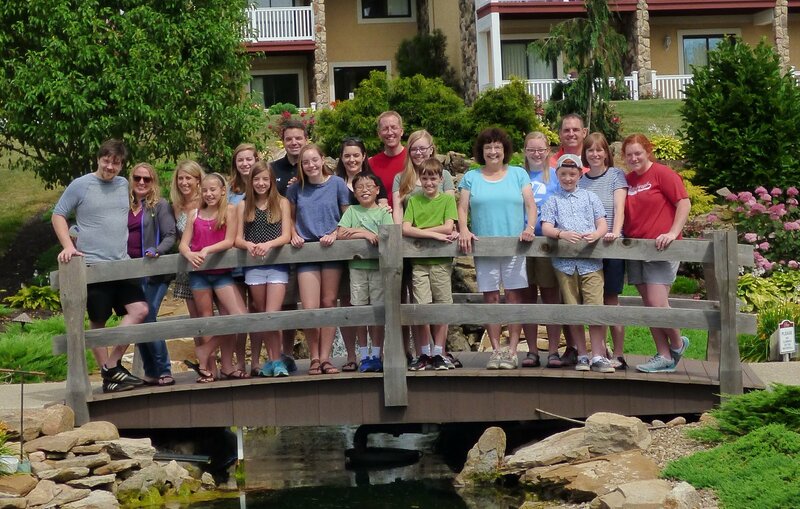 Half of Noah’s BIG family – my whole side on our weekend. I’ve sat here all morning trying to figure out how to write about Noah’s surgery tomorrow and our feelings about that. We were matched with Noah 14 months ago and prayed for him every single day. I memorized his videos and started to fall in love with him before we even met. We met Noah exactly four months ago tomorrow. He walked into our lives looking shell-shocked and a little terrified and we were a little terrified too. Now he’s happy and laughing and this morning he told me that he loves his big family and America. This boy we had never met six months ago is my son. And I love him. Tomorrow he’s having open heart surgery. When I picture what they have to do to him, I feel sick to my stomach. I know this is necessary for him to live, and I know it’s what’s best for him, and yet the thought of him having to go through that makes me break out in a cold sweat. I trust God, and I know this is what Noah needs, and I just wish there was another way. I wonder, is this just the smallest glimpse of God’s feelings about sending His only Son to earth? He knew what was coming, and He knew that we would crucify His only Son. He knew it was what was best for us, that it was necessary for us to live, but I’m sure He wished there was another way. All the gods Noah has seen are made of gold. They sit in big temples. 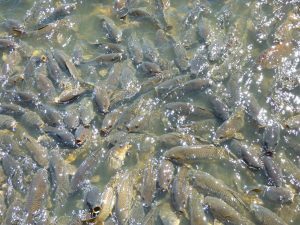 There are hundreds of them and you can follow them or not. They are revered, feared, cosseted, and powerful. But this One, this God, was a humbled man on a cross. One who died. One who was mocked and spit upon and beaten. How could this be God? If He was God, why would He allow Himself to be treated this way? It doesn’t make sense! In the wisdom of this world, powerful people save themselves. They demand respect. They would show their power by painting their world in gold and placing themselves above everyone else. But God has taught us a different way, and He has shown it to us with a different love. Jesus came to earth to die for us. He came even though we didn’t deserve it, even though many mocked Him, spat on Him, brutalized Him. He came because it was best for us, because it was necessary for us to live. Sometimes life comes at a great cost. Tomorrow we will demonstrate our love for Noah by helping him through this surgery. It’s hard to look at him now, to all appearances healthy when he’s still, and know that we will cause such trauma to his little body. But we also know that his healthy appearance isn’t the truth, and that this trauma is necessary for a much greater good. In the same way, all of us try very hard to look “healthy” on the outside, but without Christ, that appearance isn’t the truth either – we need the sacrifice of Jesus to truly live. I pray that one day Noah will know Christ. That he will love God as we do and know the truly life-saving power of the cross. I pray that for everyone on this earth. And tomorrow I will be praying that God will protect Noah as the surgeons give him the gift of a much healthier and longer life. We have gotten many questions about Noah’s surgery. We would love your prayers for tomorrow! Q: Will this fix Noah’s heart? A: No. It isn’t possible to “fix” Noah’s heart as he is missing an entire pumping chamber. This will reroute his blood system, making it more efficient and allowing his single ventricle to not have to work as hard as it currently does. Rerouting his system should greatly improve his oxygenation, getting it near normal levels which should really improve his quality of life. He will be able to run and play! It will also take some of the stress off his heart, hopefully allowing it to last longer. Q: Is this his final surgery? A: Probably not. He will have a gortec vessel implanted which will likely need to be replaced sometime in the next 10-20 years. Some patients with this procedure still need a heart transplant later in their lives. Q: Will he have a “normal” life expectancy now? A: They can’t really tell us as the surgery hasn’t been performed long enough for them to know how long people live with it. However, we do know it greatly increases his life expectancy and greatly improves his quality of life which are both amazing and wonderful things. The oldest patients with this procedure are now in their early 50’s. Q: Will he be able to participate in sports/ have “normal” physical activity? A: We think so! They can’t tell us how he will respond exactly, and he will not be an Olympian, but most children with this procedure can have very normal, active lifestyles. Q: What’s the schedule for the surgery/ how long will he be in the hospital? A: He has to be at the hospital at 6am tomorrow and surgery starts at 7:30. He will be in for 5-9 hours, more likely on the shorter end of that span. He will be in ICU for 1-3 days and then move to a step-down unit on the cardiac floor. We are allowed to stay with him at all times, even at night and in the ICU. The rest of the time in the hospital varies a lot because people’s reaction to this procedure varies a lot. Noah is also significantly older than most patients having this procedure so he may be in longer. They have told us to plan on about two weeks, but it could be three or more or even as short as 7-10 days. We’ll just have to see how he does when he comes out. Q: What are your prayer requests? A: Thanks for asking!!! We specifically want to pray for his safety, for the procedure to be successful, for the gortec to last in a miraculous way so he doesn’t have to do this again, for protection for his brain (he has to go on a heart/lung bypass and that can cause concerns with oxygen deprivation), for protection from clots as he is healing, and for our family to bring glory to God with every single person with whom we come in contact at the hospital. Q: Can we come visit him in the hospital? A: Do we know you? 🙂 Seriously, yes, after he is out of ICU, if you know Noah personally, text me and we will let you know if it’s a good time. Also, you will need a code to get on his floor. The boy will be very bored and will be allowed to move around and play by then, so don’t forget to bring a game and your sense of humor with you! One of the hardest things since Noah’s been home has been feeding him. 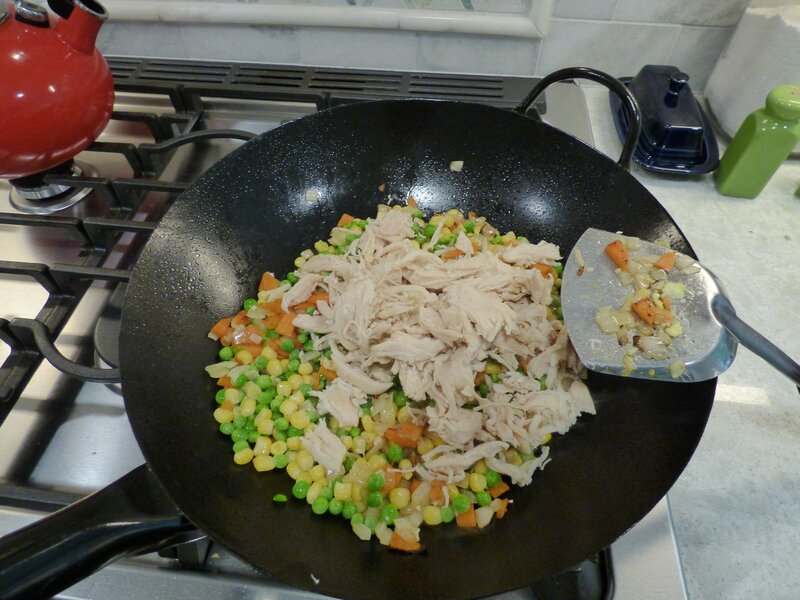 He is not picky and loves every vegetable, but he misses Chinese food. You can tell he just doesn’t like a lot of the food here even though he’ll eat it. 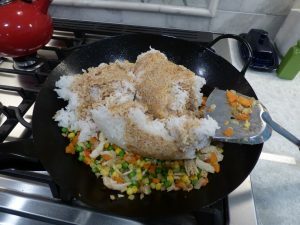 I’ve tried to make him things he’ll like, and we have Chinese grocery stores and things that help, but it’s a struggle – I’m a good cook, but I’m American and I don’t know how to make most of the things he’s used to. One day I decided to make Noah fried rice. 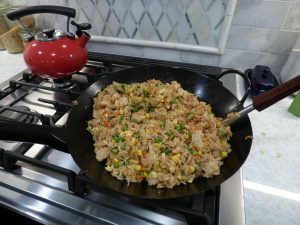 This is something I’ve made for a long time, and I was happy to find that it was very like the fried rice we had in China so I thought it would go over well. 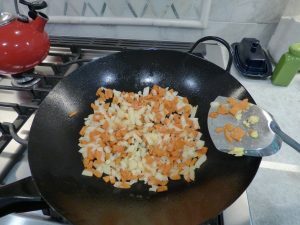 I took the egg out and started cooking the onions and carrots. “Mom! Oh please! No onions! I no like onions! I don’t like this food!” “Noah,” I stated with my customary saintly patience, “I promise, you like this.” “No! I don’t!” “Yes, you do. 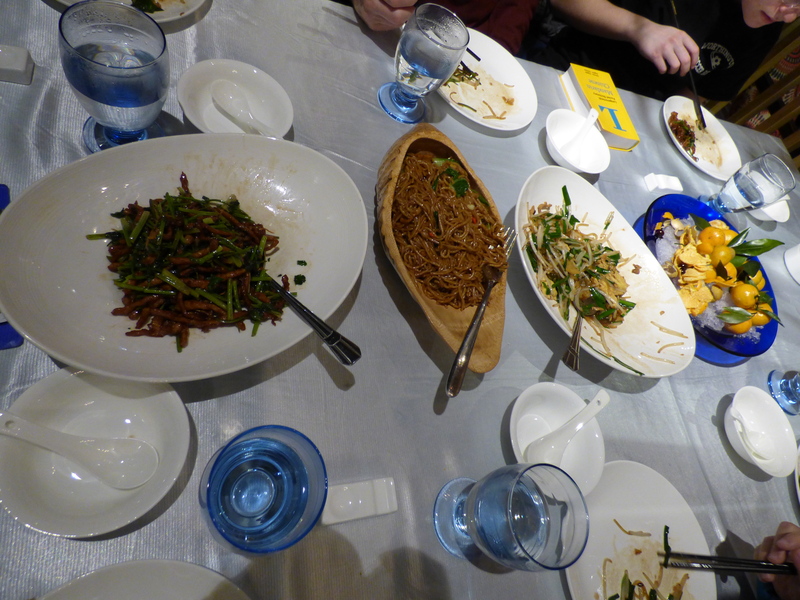 I watched you eat it every day in China. You like this.” He held his head in despair. So why is this like our life in Christ? How many times have we seen what is immediately before us and said, “No, God, please! Not the (metaphorical) egg! Whatever it is You are doing, I know I don’t like it!” And God answers, “I promise you, I am making something beautiful. We need this part to make it. Trust me, when it’s done, you’ll understand why this part is in your life.” And sometimes we listen and trust, but more often than not, we continue to complain or protest or moan and wonder why this particular thing has to happen. Why did this (insert anything here) have to be a part of my life?! And yet, God has promised us that He is always working for the good of those who love Him (Rom. 8:28). He is the great Redeemer (Job 19:25, Is 48:17), He makes all things new (Rev. 21:5), and He is in the business of giving us beauty for our ashes (Is. 61:3). When we look at the circumstances of our lives and something doesn’t make sense or looks like we would never like it, can we trust the Lord and instead look to Him with anticipation, waiting to see how He will use it to make something beautiful? I know when I look back on my life, there are many times He took things in a direction that was unexpected and often unwelcome to me. How much time did I waste complaining? How much patience did the Lord need to use with me? He knows me better than I know myself, and many of my worst times are the very things I’ve seen Him use the most to make beauty in my life. Since I know it will be asked, here’s my recipe. But I warn you, I am an artist – we are not good at coloring within the lines. I very rarely, if ever, measure anything (much to the despair of my husband who tells me lovingly that this is the reason I can’t die). 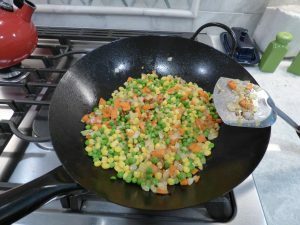 So this is just a basic how-to, more of a method as it were that you can use to invent your own recipe. 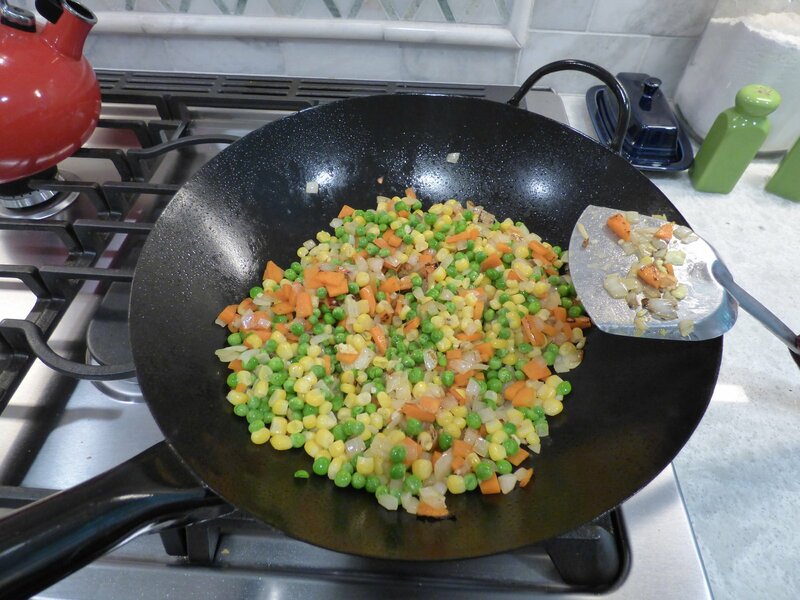 🙂 This is a great way to use up any vegetable or meat in your house, so it’s always changing at ours, but here’s my basic go-to for fried rice. roasted sesame seeds if you have them and don’t forget to throw them in. Heat a wok until it’s hot (you can use a flat-bottomed saute pan and should if you have an electric stove, but a wok works better and makes it fluffier if you have one), put in 1 or 2 T. of oil to coat the pan. Add eggs and stir and chop until you have lots of bits of scrambled egg – remove to a bowl and set aside. 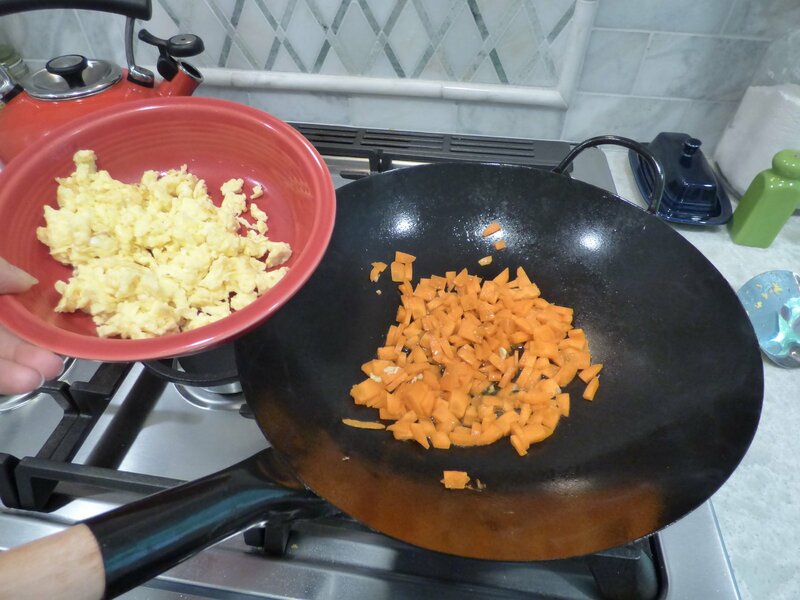 If you’re using raw meat, add a bit more oil and stir fry it now and then remove and put with the egg for later. Father’s Day. For some, it’s a beautiful day of celebrating a guy they love dearly. 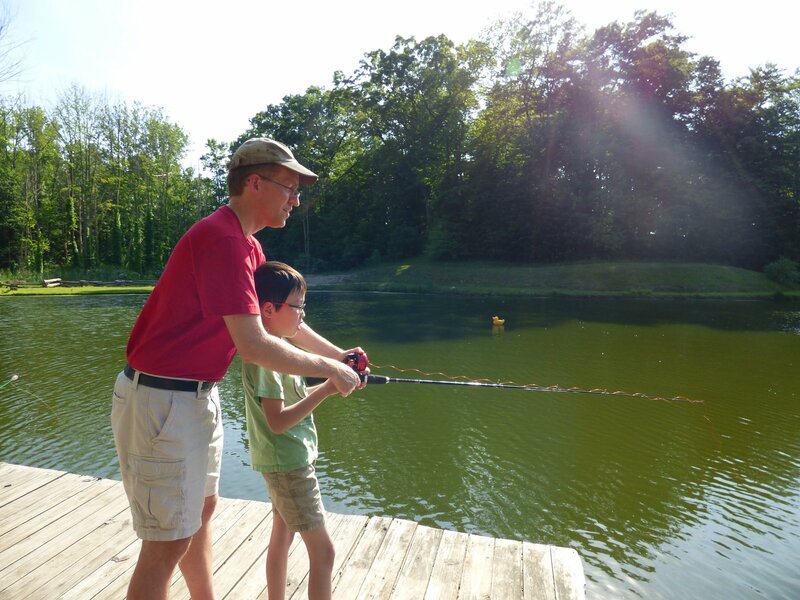 For some, it’s a painful reminder that their dad never lived up to what a dad should be. For some, it’s the grief of missing someone so vital to their lives, or grieving the fact that they haven’t had the opportunity to be a dad. And for many of us, it’s a combination. This year for me had a different twist, though. Noah puts an entirely different spin on things. 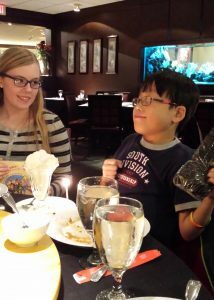 Here’s this 9 year old boy who we plucked out of another culture, country, and language, and said, “Here. I’ll be your Daddy. I’ll be your Mommy.” What does that mean? What is he thinking? We got up and went to church that morning. 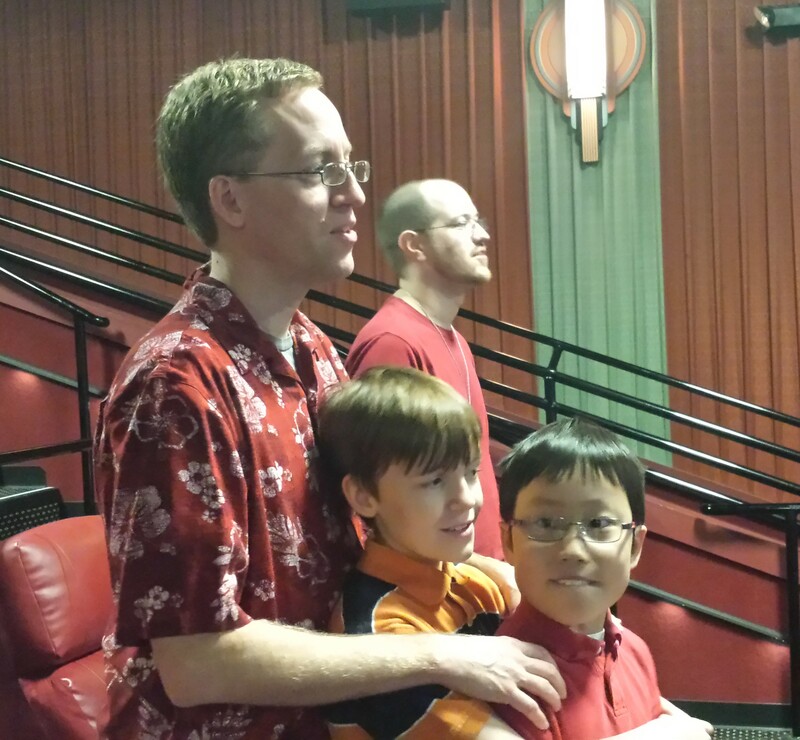 It was a Family Sunday which in our church means the kids stay for the service rather than leaving for the children’s program, so Noah and Toby stayed with Nathan and I and the girls. They started worship and I saw that Toby had come to stand in front of Nathan and Noah had come to stand in front of Toby. They were singing, Toby hugging Noah, and Nathan with his arms around them both. I was thinking about my dad which is always a little hard for me on this day, and then the band started playing “Good Good Father” and I lost it a little. Nathan right there was such an amazing picture of what my heavenly Daddy did for me! He chose me and plucked me out of my sin and the life I had in that, and put me in a new space and loved me and everything changed. In regards to the adoption, we’ve heard a lot of “I can’t believe you did that” and “You must have felt really clearly called” and “I could never do that, you must be saints!” I find myself confused a bit by the hyperbole. Yes, we felt called, but we are in no way saints, and frankly, we haven’t done anything that I don’t think anyone can do. It’s not easy, but it’s also not the insurmountable thing people have made it. We were definitely scared, but God helped us. There were obstacles, but He provides. And whether God has spoken to you audibly and personally or written with a sky-writer over your house “Take care of orphans!! !” it doesn’t matter. He’s told us that in His Word, and therefore, He’s told us. That may not mean that you are to adopt a child. But, have you ever seriously thought that it might? Have you even let that be part of your conversation with yourself and with God? Picture this. You see on the news that there’s been a war that leaves thousands dead and incredible destruction in it’s wake. They publish a picture of two little boys, brothers, crouching alone in the wreckage of their home holding each other. Do you know how many people would clamor to know the names of these boys? How many would offer to take them immediately into their homes and families? If you were walking that very street and saw those boys, would you really just walk on by and leave them there? And yet there’s a crisis of orphans in the world. These kids have been through the war but their picture isn’t out there on Facebook today. We can ignore them because we don’t have to see them. There are children in foster care who have been through the war of abuse and neglect. There are children in orphanages around the world who have been through the war of poverty and earthquakes and medical conditions their parents can’t handle. There are millions of children who need families who will never have their picture published so they can really be SEEN. We, as the big “C” Church need to see them. And we need to be open to the possibility that God really might be calling us to do more. At church, they handed out a sheet to the kids called “Fun Facts About Dad” that they could fill out and give to their fathers. Things like, “My dad’s favorite thing to do is ____.” Noah brought his to me so I could read it to him and wanted me to fill it out for his dad. He was very insistent about it. His English is pretty good now, but it’s still hard for him to express himself, and some of the questions were stumping him. 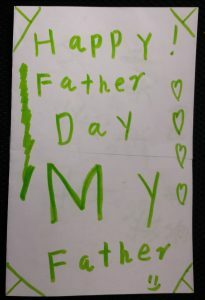 The final phrase was “I love my dad because ____.” He was really struggling and I said, “It’s okay, Noah, you don’t have to answer it.” and he said, “No, mom, I – it’s a good, good question! A good one!” but he couldn’t answer still, so I said, “Do you want to say it in Chinese?” and he said, “No! 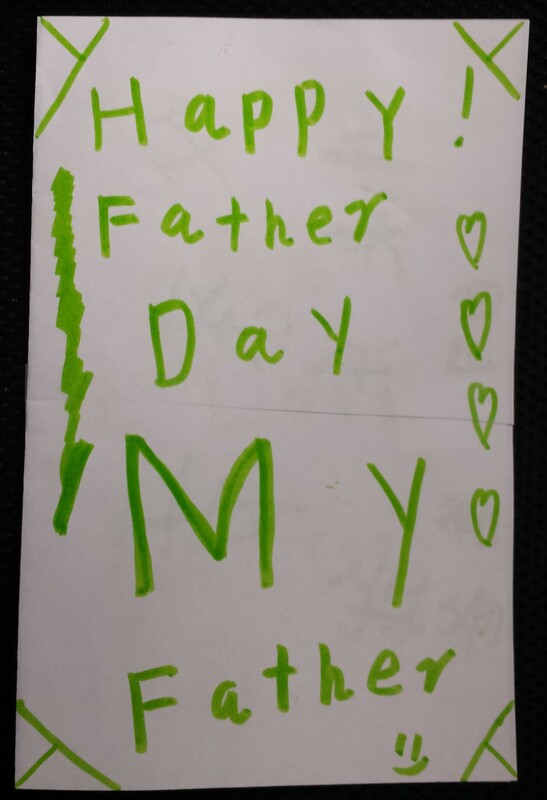 No, I say in English for dad!” and I realized he had tears in his eyes as he was thinking about this and then he whispered to me, “Can you just write ‘everything?’ ‘Everything.’ That is why I love dad.” Oh, my goodness. It’s looking into the eyes of a kid who has never had a dad and seeing just a piece of his heart and realizing the enormity of what this means to him. This is HIS dad. Someone who chose him. Someone who won’t leave, a home he’s been told is his forever. And he’s starting to believe it. People look at these kids and they don’t realize the blessing they are waiting to be. They think, “Oh, that’s sad, but it’s too hard, it’s not my problem.” And they are right. It isn’t. But I wasn’t God’s problem either, and yet, as my Abba, my daddy, He stepped in to the mess we created here and chose to love on purpose and at great cost to Himself. He said, “Mine. Give me her – I will take responsibility and love on purpose right there.” And He did. He’s my daddy. How can I not try to be like Him as I grow up? I married a wonderful man. He’s not perfect but he runs after Jesus, and he’s got more integrity than anyone I know. He’s a great dad. 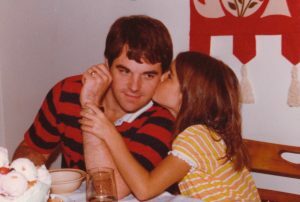 I had an awesome dad – hilarious and larger-than-life and he loved me fiercely and beautifully. He was a picture of my heavenly Father. But more than all of that, I have a heavenly Daddy who stepped in, turned my life around, saved me, gave me purpose, and sent me out to do more, love more, choose more. If I’m His, how can I help but to want to love like Him? PS If you want to do more right now, you can start by sponsoring a kid in real need through our partner, Compassion International. We’ve been with them in the field, and know they do beautiful and important work in Jesus’ name – let’s love with actions and in truth together! 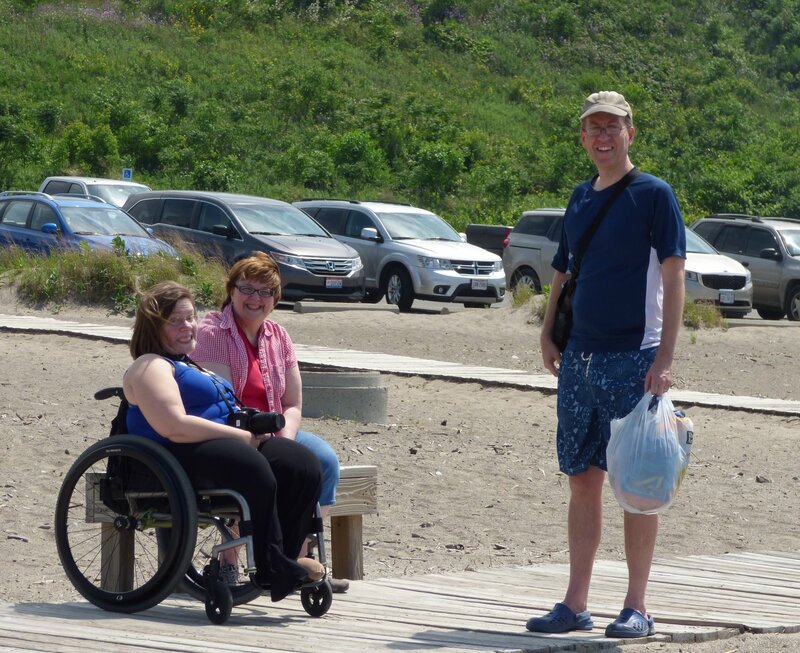 Nathan with Julie and Jessica – they took us to the beach! 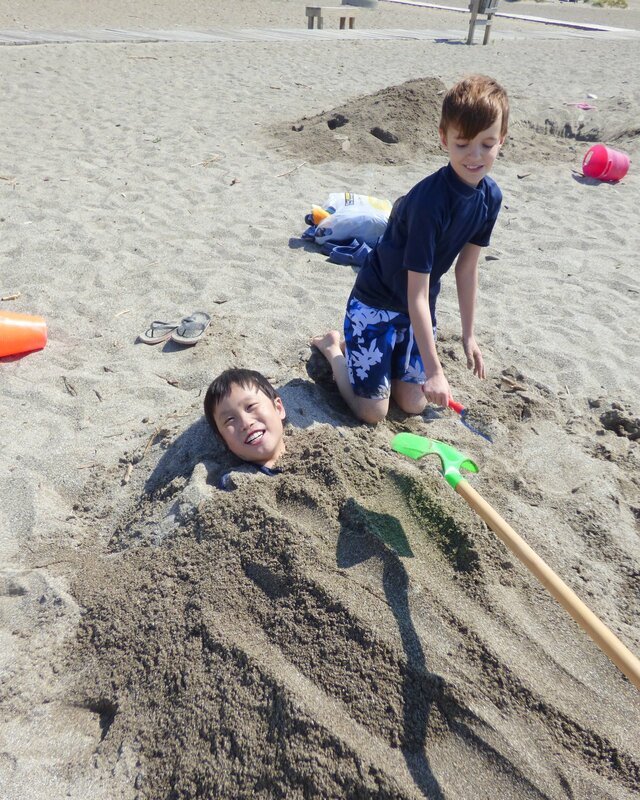 Noah learning what it means to have siblings and Toby loving it – they took turns burying each other all afternoon. Wait, what?! 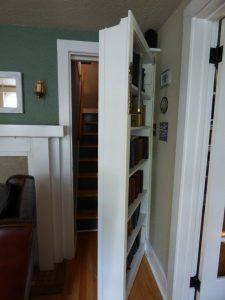 It’s a secret staircase?! 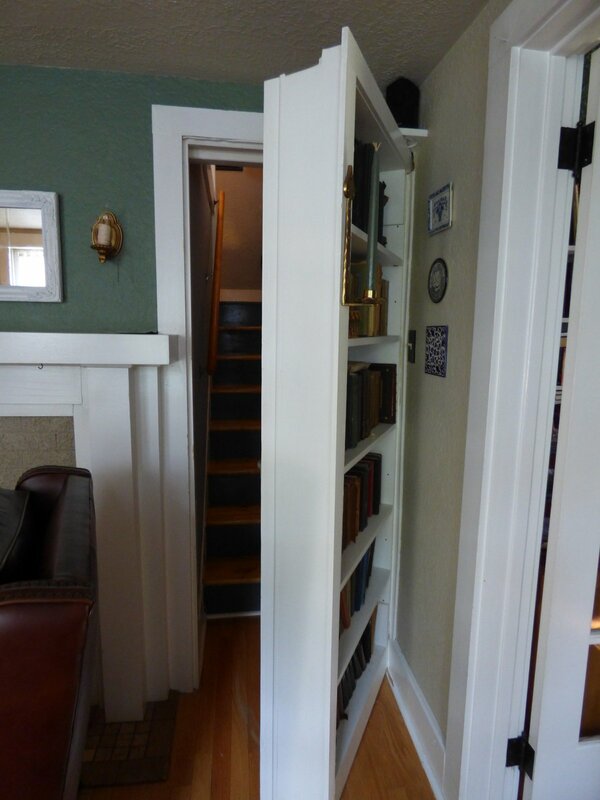 The kids did triple takes – this house is super cool! 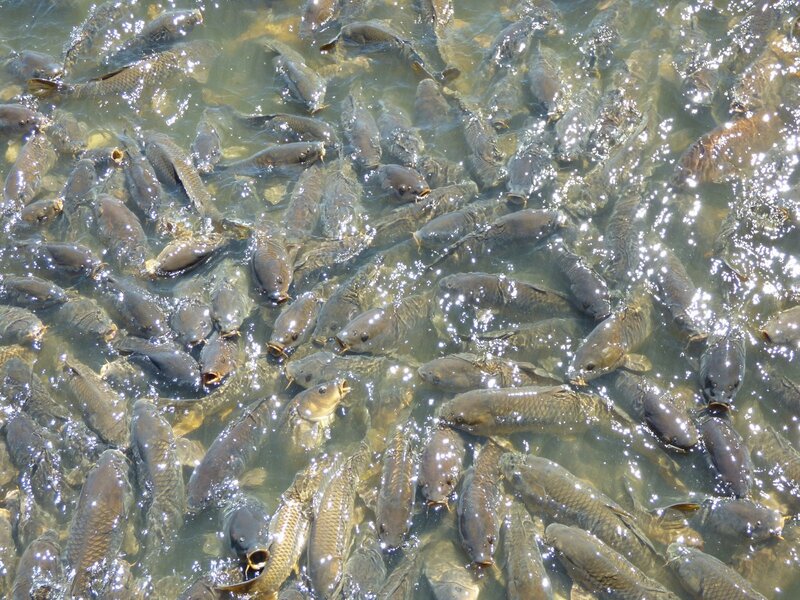 The writhing pile of fish. Aren’t they cute? Um, in a creepy, fishy kind of way? Every once in a while I get to go back to a place that’s I have some real history with, and it’s always a blessing. This past weekend, I was back up in Kingsville, OH, at a small Baptist church which has been absolutely lovely to me for many years. 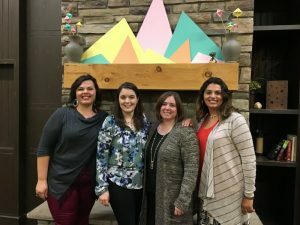 They are one of the first churches to ever have me in, and I love that I get to go back and check in with them all every few years and feel like the pastor’s family are personal friends at this point. I mean, back when I was first starting out, I actually had a pretty major car incident getting to this church, and they had my car towed during the concert I was giving (that’s a whole story in and of itself!). When I came back a week later to pick my car up, I found out that the church had done a love offering to cover the repairs for me because they knew we had no way to cover it at that time, even though many of them had nothing to spare either. This is that kind of church. We drove up Saturday morning and met Julie and Jessica, Pastor Dave’s wife and one of his daughter’s (he was traveling in from out of state) and they took us to a local hangout – the White Turkey, which has been there unchanged since the 1950’s. And it totally felt like the 1950’s! It was so cute, and the kids had a blast eating outside and getting happy face ice cream cones. Afterwards, Julie and Jess took us to the beach on Lake Erie which the kids loved. The next morning I did most of the service at the church, and it was so fun to reconnect with people I’ve been with many times. We realized that with all my visits, this was the first time any of the kids had been here, so there were many people who were excited to meet them. After the service they hosted a little lunch for the members of the worship teams and I did a little teaching session about worship, etc, and had a q&a time. I wanted to write an update after Noah’s catheterization last Tuesday. It was a very long day. He has some very hard memories and associations with hospitals, so while he did well, it was very stressful for him and for us. He gets very scared but he is such a brave kid. He knows it has to happen so he just gets through it. The catheterization was first to check all the pressures and make sure that the Fontan procedure was still possible. 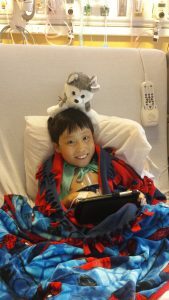 Most children with Noah’s heart condition have this surgery at a much younger age, usually by age 3, and the concern was that the high pressures from not having the surgery would have damaged Noah’s lungs too much for him to still be a candidate. We have known this was a possibility since we were matched with Noah a year ago, and that is a long time to wait for answers. They let me stay with Noah into the OR until he was asleep. They told us it would be 3-5 hours. If they got in and it was bad, they would pull out because there wasn’t anything else to do. If they got in there and it was good, they would do a number of things to prep his heart for the Fontan. Well, 2.5 hours in, they told us it was over and the surgeon was coming to talk to us. I was braced for the worst. She came in and told us immediately that Noah was a great candidate for the Fontan, all the pressures were good which meant his lungs were in good shape, and we could proceed. I burst into tears – poor woman! She had no idea how long we’d been waiting for answers! But I just told her they were happy tears! The reason his surgery was so short was that everything looked so good, there was nothing to prep – he was all ready for the Fontan without any additional procedures! So here’s your miracle for the day. There is one artery that leads to Noah’s lungs. If it had been built open the way it should have been, the years of waiting would have left Noah’s lungs completely scarred. If it had been closed the way it usually is with his heart defect, he would not be alive. But Noah’s was narrowed – exactly open enough to keep him alive, and exactly closed enough to have protected his lungs this whole time. Just amazing. God is so good. Don’t get me wrong, God is so good even if we’d gotten bad news about Noah. I believe that with all my heart. But in this situation, it’s just that I can sense His presence and protection over Noah in a way that is truly miraculous and comforting. He has plans for this kid, and He already knew how his heart was working. After the surgery, Noah had to lay flat for 6 hours. He was pretty agitated coming out of anesthesia, and I was grateful that we had an interpreter, because in that hazy state, he really needed his first language. Keeping him down was very difficult, and I know that weeks in the hospital will be a real challenge for him and for us. There were several things that blew his mind, though. One, that he got his own room and it had a TV and a bathroom. That was incredible to him. Two, that there was a huge menu he could order from, anything he wanted, and they brought it TO HIS ROOM. He could not get over this. After he came home, he described the process of ordering and receiving food to Toby multiple times. He’s already planning what he will have during his next hospital stay. I appreciated this stay because we were on the cardiac floor and it gave me a preview of what we would be doing for a few weeks – helps me plan. And I have to say, I was beyond impressed with our doctors and with the nursing care – especially our nurse Eric who was absolutely amazing. It gave me a real sense of peace about the hospital stay. Phil 4:4-9 Rejoice in the Lord always. I will say it again: Rejoice! Let your gentleness be evident to all. The Lord is near. Do not be anxious about anything, but in every situation, by prayer and petition, with thanksgiving, present your requests to God. And the peace of God, which transcends all understanding, will guard your hearts and your minds in Christ Jesus. Finally, brothers and sisters, whatever is true, whatever is noble, whatever is right, whatever is pure, whatever is lovely, whatever is admirable—if anything is excellent or praiseworthy—think about such things. Whatever you have learned or received or heard from me, or seen in me—put it into practice. And the God of peace will be with you. Noah knows about the surgery and is actually relieved to have a date. This has been a big thing hanging over his head for years too, and he’s a planner, so it’s good for him. This first thing he did was ask to see a calendar so he could count the weeks. Then he said, “Okay, got it!” and ran off to shoot Toby with water guns. So we’d love your continued prayers! And we’ll keep you updated here and on Facebook, etc. Thank you so, so much for your prayers and beautiful messages! We have appreciated them so much!